When will it snow in Les Deux Alpes? 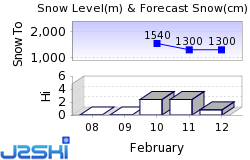 The next notable snow forecast for Les Deux Alpes is 1cm-, expected on 19 April, with around 22cm9in forecast over the next 7 days. How High is Les Deux Alpes? The French Ski Resort of Les Deux Alpes is part of the Grande Galaxie ski area with access to 531km330 miles of downhill skiing, with 264 marked pistes, served by a total of 150 ski lifts. In addition to the skiing in Les Deux Alpes itself (220km137 miles of pisted ski runs), the appropriate ski Lift Pass will allow you to ski or snowboard in the other Grande Galaxie ski resorts of Puy Saint Vincent and Serre Chevalier. The ski resort itself is at 1,650m5,413ft, so skiing or boarding back to the resort is usually possible. With ski lifts as high as 3,600m11,811ft, skiing and snowboarding is assured throughout the season. The longest possible descent in Les Deux Alpes is 12km7 miles long. Les 2 Alpes 'World Snowboard Exhibition' staged at the top of the glacier in late October each season is one of the longest established annual events in the still short history of 'boarding. It is also believed to be the 'highest' snowboarding event staged and is open to the general public as well as pros. Throughout the season the snowboarding park is one of the best, with boarder cross, half pipe and various competitions staged. Events include barbecue and test days and the park has piped music. 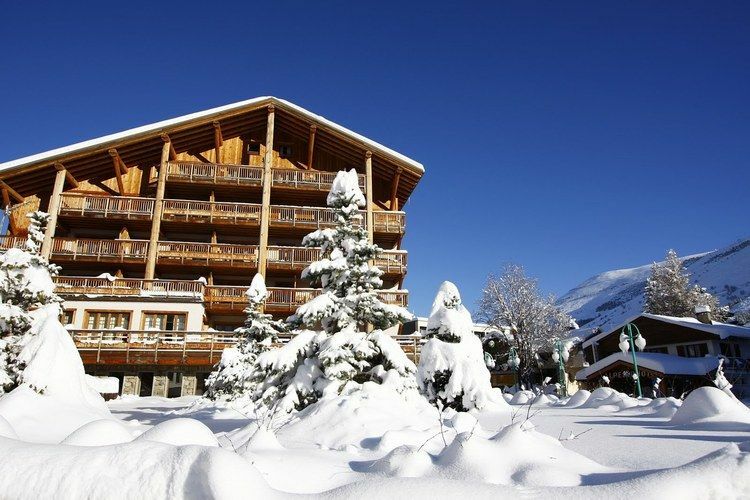 There are three Snowboard Schools operational in Les 2 Alpes. In the summer boarding continues on the glaciers with camps, competitions, events and tuition on offer, along with free riding up on the largest glacier summer sliding area in Europe. A Fun Park is also created up top. When is Les Deux Alpes open? We don't currently have confirmed season dates for Les Deux Alpes. Usual opening is late November (Re-opens for summer skiing from late June to early September. Opens for a week at start November), and usual closing is Late April. NOTE:- Lift and Piste openings are always subject to Snow Conditions in Les Deux Alpes. Les Deux Alpes is able to make snow, on 30km19 miles of ski runs, with 226 snow cannons. The 55 ski lifts of Les Deux Alpes are able to uplift 66,000 skiers and snowboarders every hour. Where is Les Deux Alpes? Les Deux Alpes is in the French Alps in Grande Galaxie, Hautes-Alpes, France. The nearest airports to Les Deux Alpes are Grenoble, Chambery and Lyon Bron. There are seven airports within three hours drive. The Webcams in Les Deux Alpes are not always up-to-date. Please check the date on the image to ensure you are seeing current snow conditions. One of the livliest of the French resorts there are more than 30 bars to choose from and later on four night clubs which remain open until dawn in peak season. There are ten piano bars - one of which offers a selection of 200 different beers. Several have a 'British' theme, including Mike's Bar, Smokey Joe's and the Windsor with its selection of whiskys. The Café Bresilien has a reputation for great music. Later on l'Opera night club is one of the best. More unusual après ski options include full moon mountain hikes to mountain restaurants for dinner. Other Ski Areas within Grande Galaxie. 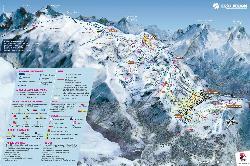 Other popular Ski Areas near Les Deux Alpes. Common questions about Les Deux Alpes. For current snow conditions, see our Les Deux Alpes Snow Report. Want to ask about skiing and snowboarding in Les Deux Alpes? Or contact Les Deux Alpes Tourist Office. Note :- The information on J2Ski concerning Les Deux Alpes, where not clearly factual, is opinion only and is neither definitive or exhaustive.